The Pizza Bible - par baking the giant meatballs? par baking the giant meatballs? 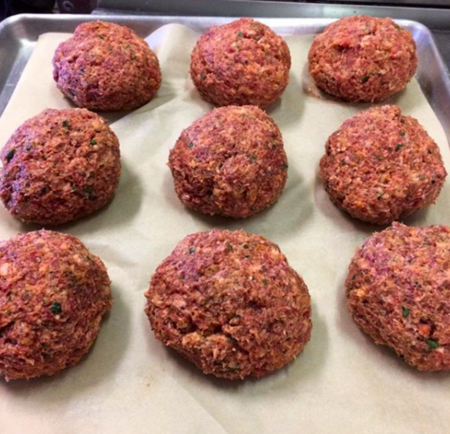 I've been making the giant meatballs from the book for a while now and I'm curious about partial baking them ahead of time in order to reduce the time when doing actual prep for service. I assume they must do that at Tony's restaurants, anyone know the best way to do this? Thanks for any help! Hi Aaron, I'll find out for you in the next day or so and post back! Sign In to comment on this reply. Unless you've got a restaurant and prepare them ala minute'...the administrator answered your question!